What is the Difference between a Snake, Viper and Serpent? The subject is a confusing one because of the rather inexact use of terms in most post-Roman cultures. Especially large or poisonous snakes are commonly called serpents, and biblical tradition calls the shape Satan assumed to tempt Eve a serpent. But technically speaking, all snakes can be called serpents, from the Latin derpere, meaning to creep. While the word serpent may be used as a synonym for any snake, a viper is any member of the solenoglyph snakes, including rattlesnakes, adders, water moccasins, and copperheads. Generally, systematic herpetologists place vipers in two families. They are the Viperidae, or Old World vipers (adders, puff adders, etc. 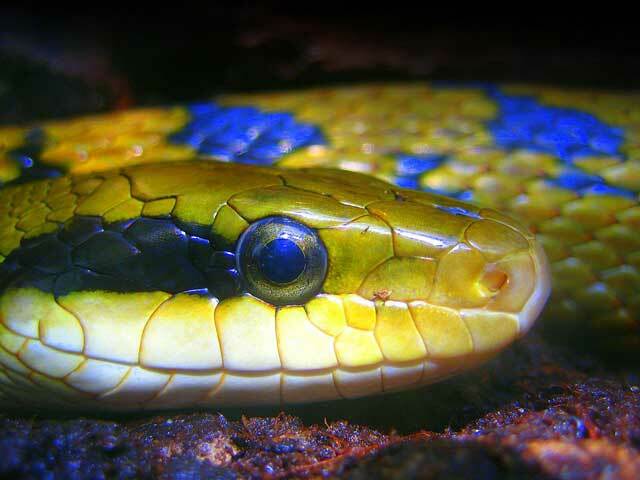 ), which lack heat sensory pits on the face, and the Crotalidae (pit vipers), found in southeastern Asia and the Americas, which do have sensory pits on the face, including the rattlesnakes, bushmasters, fer-de-lance, cottonmouths, and tree vipers. What kind of Snake is a Pit Viper and do they Live in Pits? What Was the Rainbow Serpent In Australian Aboriginal Mythology and Where Does the Rainbow Serpent Live? How Did Thor Battle the Midgard Serpent In Norse Mythology and How Did Hymir Save the Serpent?